Having worked in some of the world’s best kitchens, Rory O’Connell has plentiful tips and tricks for creating delicious recipes. Savour Kilkenny is delighted to welcome Rory back to the festival to present a selection of his favourite recipes from his TV series ‘How to Cook Well with Rory O’Connell’ on RTÉ 1. Rory will prepare three dishes that can be eaten on their own but will also combine to make a delicious and balanced meal. Join the much-loved and well-respected Chef as he cooks up some of his favourite dishes using the best local and seasonal produce. Rory O’Connell trained at Ballymaloe House with the late Myrtle Allen, the grand-dame of Irish country house cooking and later became head chef at Ballymaloe House where he stayed for 10 years – during this period he was twice awarded the prestigious title of Ireland’s Chef of the Year. Rory co-founded the Ballymaloe Cookery School with his sister Darina Allen in 1983 and can nowadays be found teaching at the school. Rory has acted as a food ambassador for Ireland on numerous occasions, addressing both the hospitality and tourism industry at home and abroad. 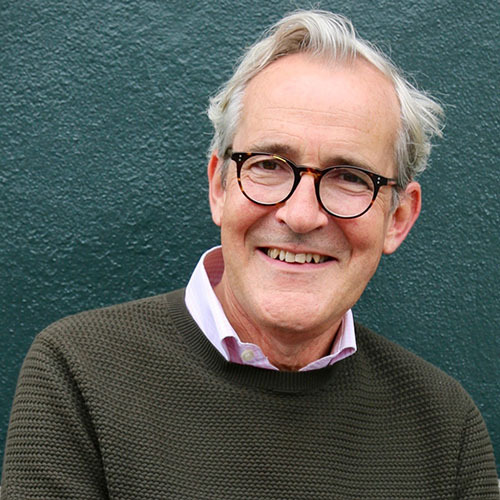 Rory is a founding director of the Ballymaloe Litfest and has released two cookbooks; ‘Master It: How to Cook Today’ and ‘Cook Well, Eat Well’. Having spent more than 20 years cooking in the world’s finest kitchens, Rory O’Connell is uniquely equipped to share his expertise and knowledge with others. Rory has been teaching people to cook for more than 30 years with his entertaining yet exacting style of teaching always proving popular.